Renaissance: A revival or renewed interest in something. 41 days ago the Royal London One-Day Cup began for 2018. 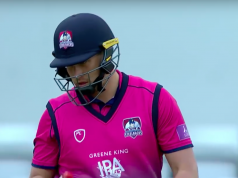 County cricket’s 50-over competition kicked off against a backdrop of uncertainty about the future of the game and, in particular its place within it. There is a school of thought that it’s now a format that finds itself betwixt and between. Where it used to provide the glitz and the excitement, T20 cricket now does that job and continues to take cricket to new heights across the globe. Why therefore do we need its fuddy-duddy older brother? But there is also a demand for nuance and intricacy, such fundamental hallmarks of the game. That’s where the Championship comes in, surely, four days of back-and-forth cricket providing the traditional supporter all of the toing and froing one could desire. In the train of thought of these cricket observers, somewhere lost in the middle is 50-over cricket, battling to find its niche, its identity. A little like radio when the emergence of television came, fighting all that excitement, that sound and vision. Resisting the urge to break into Queen’s Radio Ga Ga, I will now admit that on May 17th I counted myself among their number. In my youth, 50-over cricket was the format that delivered the excitement. I woke with huge enthusiam at the prospect of a one-day international, all those runs and thrills. Then bang! Here comes T20, with quicker runs, more glitz, more drama, more bells and whistles, no tedious middle period where not much happens and 50-over cricket faded – not entirely, but its lights rather dimmed into the distance. And yet, this season in particular, I’ve seen it emerge a little brighter in my rear-view mirrors. This Royal London One-Day Cup has been simply fantastic. 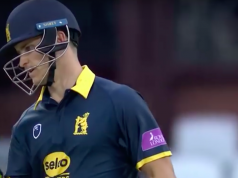 There have been some sensational matches, several going down to the thinnest of wires, the totals have been huge and the skill level on show across every county has breathed fresh life into 50-over cricket. What has happened at international level has helped. Put simply, England have become rather good at it. They have raised the bar on what is possible in 50 overs, notching the world record total of 444 two years ago – and just last week smashed it to pieces with 481-6 against Australia. It’s exhilarating to watch and it has filtered down into the county game. The boundaries have shifted (not literally) about what is expected in 50-over cricket. Totals of 250-300, which were once considered ‘defendable’ have now become below-par. And that pursuit for the big score means the excitement throughout every innings has been maintained for every single ball. There have been incredible totals posted throughout the competition – with Nottinghamshire making a whopping 409 against Leicestershire. Two matches in particular though have stood out. Leicestershire made their record one-day total of 376-4 against Worcester and it was surely too much to chase, scoreboard pressure and all that. 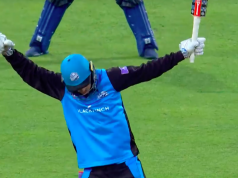 But Worcestershire laughed in the face of such pressure, as Callum Ferguson smashed a 143-ball 192 to win it with 2.4 overs to spare! And I was lucky to witness a thriller at in the Roses match at Old Trafford, Yorkshire’s 379-7 appearing out of reach, but Lancashire never looked out of it at any stage of their 50 overs, ultimately falling 16 short. Those are matches that have lit up this competition and have gone to prove that the format can now deliver both the power and the excitement as well as the nuance and the ebb and flow. That’s gone to prove me wrong. 50-over cricket can now offer something different, it can captivate audiences for the longer period and, in many ways, provide a better all-round package than a T20 match can. As the shortest format, at least for now, battles with its own future, 50-over cricket is starting to sit a little more comfortably. And yet of course problems still exist. Despite the excitement outlined above, it remains a hard sell. It’s a long day to go and watch 100 overs and crowd numbers are still relatively low. That will always be the case with so many games played midweek. But perhaps a few more matches played at outgrounds might help. We’ve seen this year that matches at the likes of Oakham School, Welbeck and even in the rain at Blackpool have brought passionate cricket fans out to watch. A few thousand crowd appears far better at the smaller venues that the hulking international stadia. This year, however, can only help reignite the interest and passion that has waned in 50-over cricket over the last decade. T20 has replaced it as the premier white-ball competition and that will not change, nor will it ever provide the charm and quality of the County Championship. But it doesn’t need to. Cricket ought to celebrate what it does well. The fact that there are three such different formats, all providing different challenges, all requiring different skills and all providing a varied entertainment package should be shouted from the rooftops. 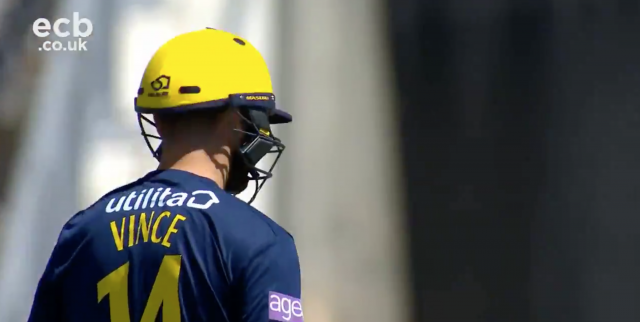 Ahead of this years Lord’s showpiece between Hampshire and Kent, 50-over cricket has forced itself back to the forefront of my consciousness and found its place within the county game. The Royal London One-Day Cup revived, my interest renewed.